Who is this? Need I say more? The travel quizzes are rather serious and are intended for you to learn a little something about whatever is presented in the pictures and travel essays. This quiz or possibly a series of quizzes are just for fun. So take a shot and see how good you are. View the pictures. Never mind, it won’t do you any good if you don’t know Homer Simpson, Bart, Lisa, Marge or Maggie then you may be out of tune with reality (Homer’s reality). Take the quiz. The answers are irrelevant. So if you fail all or most of the questions, then you are normal. If on the other hand you do good, you are really cool and know your stuff or maybe you are just a nerd. Just a Simpson’s nerd. Guess what? I’m here! Folks I added my touch to this 1-question quiz. This Travel Quiz is about Homer Simpson Trivia. There are probably no clues to help guess each answer. After all, clues would never help Homer so why should they help you? The level of this test is unknown. Answer all questions. Each answer is worth some undetermined number of points. If you don’t know the answer, then take a guess. This test is timed (3 min). Most of the correct answers to this quiz are known. But how you do on the quiz is unknown. 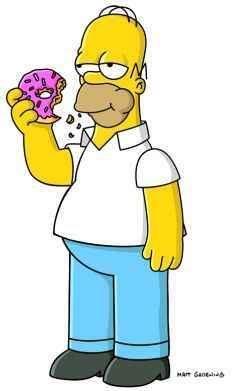 To learn more about Homer Simpson or the Simpsons, watch TV. Thanks for taking this quiz on Homer Simpson Trivia. Why did Homer get sent to a mental institution? What is the name of the bar where Homer goes to drink? I don’t think he looks his age. What is the name of the clown on Channel 6? Who is Bart’s favorite comic book action hero? 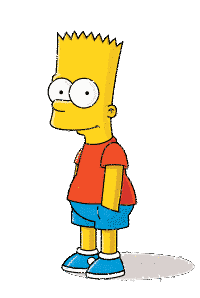 Who ran over Bart in his car? Who practices medicine without a license? Where are the Kwik-E-Mart headquarters located? When Marge went to prison Who was her inmate?